Even though this blog is called South of Shanghai, sometimes I have to take a little trip up north to the big bad behemoth that I guess you could call… the Hai*? I love my trips to Shanghai because when I do get a chance to wake up in this skyscraper-filled wonderland I’m a) too far from the city center for comfort and b) not looking forward to the food withdraw I’ll suffer once returning to Ningbo. Ignoring these two negative factors, Shanghai always makes for a great visit. Due to the fact that there’s so much good food-related stuff to talk about from my recent adventures in Shanghai, this article will be broken up into two parts chronicling two journeys through the city’s amazing, and rather crowded, F&B scene. Having not sunk my teeth into a Reuben sandwich for almost 8 years, I knew I had to go here. So I hopped on the city’s massive subway network and eventually found myself in Huangpu District on Henan Lu, rather close to the Bund. After getting turned around a few times I eventually found the circular white and red sign denoting the deli and went in to find myself in a quiet environment decked out with wood tables, metal chairs, and an all around relaxed vibe. At the counter I was led through the menu until I found what I was looking for, the Reuben. Little did I anticipate there were options though, for the small, medium, and “monster” versions of the sandwich. Not one to pass up a good opportunity, I got the Monster Reuben with all the sides (fries and cole slaw) and with medium done corned beef. The result was premium. 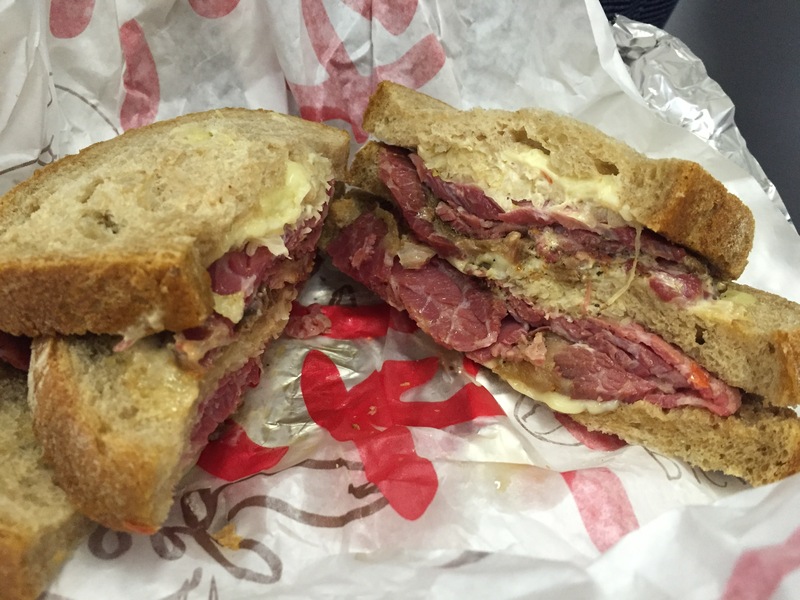 The double-decker sandwich was filled with tender and juicy meat whose light flavor was countered by the tartness of the Russian dressing and sauerkraut and the earthy flavor of the rye bread, definitely a winner. Following my lunchtime treat and after an afternoon of various business to attend to, I hopped on the subway again, this time to the Former French Concession for a stop at Senator Saloon, recently voted Best Whisky Bar in the That’s Shanghai 2016 Readers’ Choice Awards. Started up last year, this small joint has made a name for itself with quality bar food and even better Pre-Prohibition cocktails, the best of which was the Jericho. Made with rye, St. Germain, Chetreause Green, and sherry, it was quite the treat after a long day. 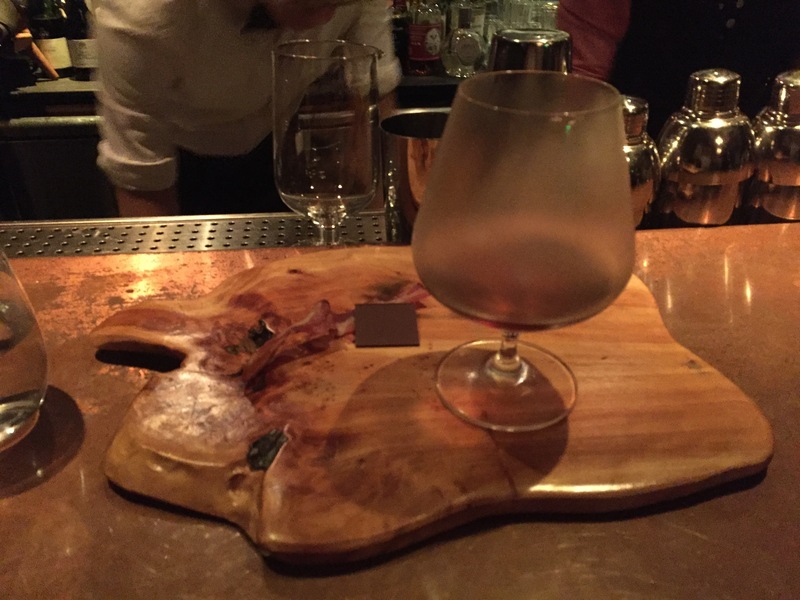 My second trip to Shanghai took place two weeks later and saw me on assignment for the UK-based Whisky Magazine to write about the best whiskey bars in the city. This of course is no easy task, as my editor called for 8 bars and there are probably way more than 20 bars serving whiskey and cocktails in the city. So, I put my head to the grindstone, did some research to see who was the best of the best, and came up with a list that you’ll have to wait until October or December to see once its published. What I will tell you is that, out of these bars, the most interesting of the lot in terms of whiskey and cocktails are 1515 West Chophouse & Bar, Senator Saloon (for reasons previously mentioned), the Long Bar, and Speak Low. While I was unable to experience 1515 West when I visited during this trip, when I read about the establishment I was very impressed. The restaurant and bar goes for an old Shanghai and American theme which it pulls off well, sourcing excellent Wagyu beef from Australia, offering up countless other dishes, sides, and goodies, but the best part of the place is they partnered with Evan Williams in Kentucky to release their own 1515 West Bourbon, which is the base spirit in the majority of the cocktails they serve at the restaurant bar. 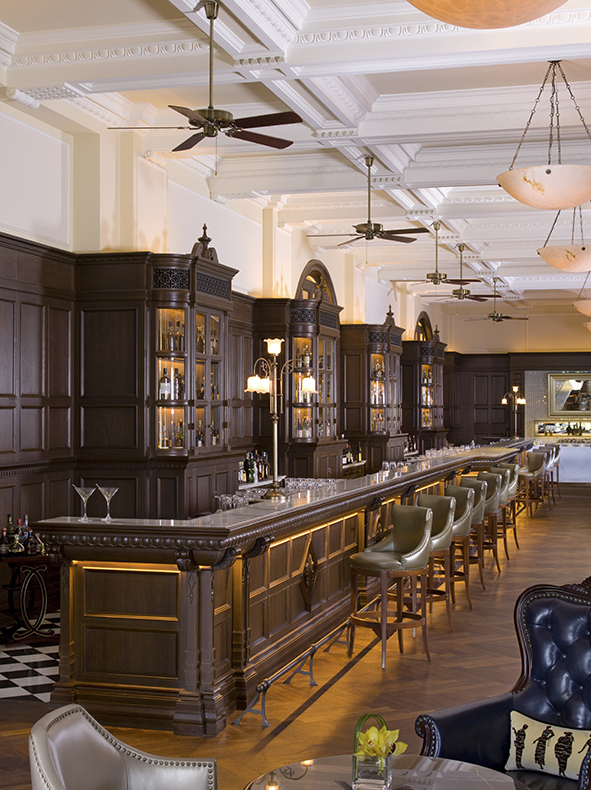 If you do get to Shanghai but don’t have time to check out a lot of places, the one place you should go is to the Long Bar, located on the lobby level of the Waldorf-Astoria Shanghai on the Bund. Why? 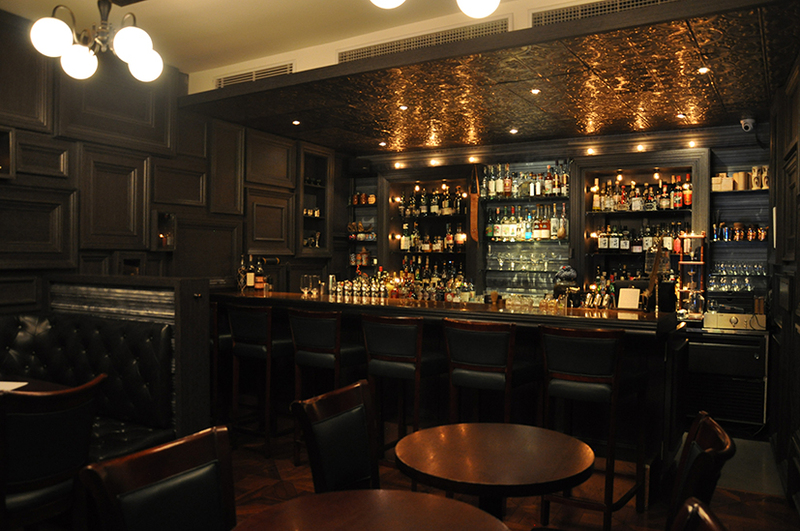 Simply put, this is the oldest cocktail and whiskey bar in Shanghai. Heck, its possibly the oldest bar in Shanghai. First opened in 1911 as the Shanghai Club, it served as a foreigners-only gentleman’s club where the elites of Shanghai would go for a taste of class away from home. After a brief stint as a KFC in the 1980s (one of only 2 in Shanghai during the period), it was returned to its former glory once again, complete with a 32-meter-long bar, plush seats and sofas, an immaculate raw oyster bar, and impeccable service. 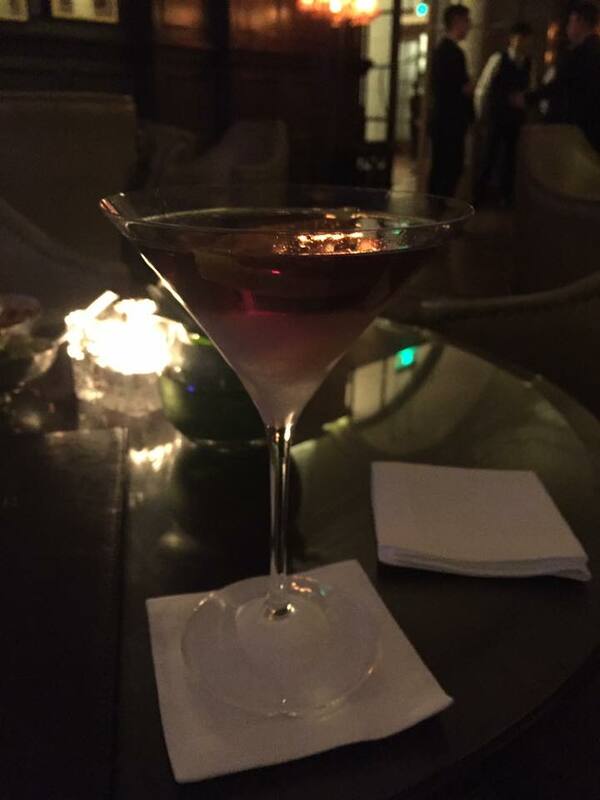 When I arrived in this beautiful palace, the first thing I did was order a Waldorf cocktail, made with rye whiskey, sweet vermouth, and bitters and poured in a chilled absinthe-washed glass. It was refreshing and eye opening at the same time, like a Sazerac but smoother. If you do choose to go to the Long Bar, keep in mind the place it expensive. I went with a friend and, thinking it’d be as reasonable as the bars in other cities, we got food with our drinks. Deciding to gorge a little I picked the Wagyu beef burger, which was possibly one of the best burgers I’ve had in China. The light and tender texture of the Wagyu went well with the cheese and everything else. But, much like the lightness I find characterizes this wonderful meat, my wallet was much lighter for it. The following night was more forgiving, as I decided to play it safe and get some Xiaolongbao before heading to Speak Low. 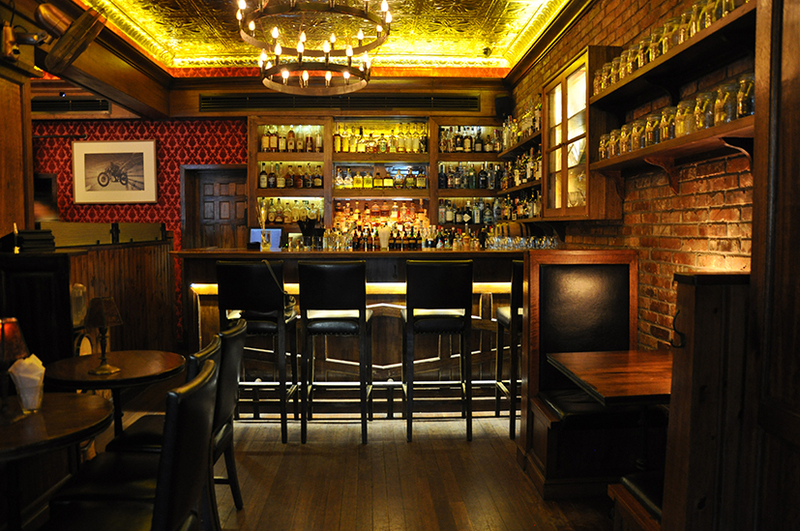 This is perhaps the most exciting bar you’ll find in Shanghai, and one of the best “speakeasies” in the city. The bar is located behind an false shop near Fuxing Park. Entering, you’ll be led through a sliding bookcase to enter the bar. What helps Speak Low stand out from the rest of the speakeasy crowd in Shanghai is that, unlike the other joints which are merely a secret entry and a bar, Speak Low is 4 bars on 4 floors. After entering, there’s a small little closet-like room with a stout bar and three seats where shots and beer is served. Move on up to the second floor and you’ll find a copper-topped bar and more lively atmosphere with chic paintings, orange walls and ska playing in the background. This is a New York-style cocktail bar offering up some creative concoctions from many of the popular cocktail bars in NYC. The crème of the crop is the third floor, which is hidden behind a fake panel wall as you walk up the stairs. In this Game of Death inspired establishment its here you’ll find a more quiet Japanese-style cocktail bar where manager and head bartender Atsushi Suzuki serves up a mind-boggling menu of house and aged cocktails. 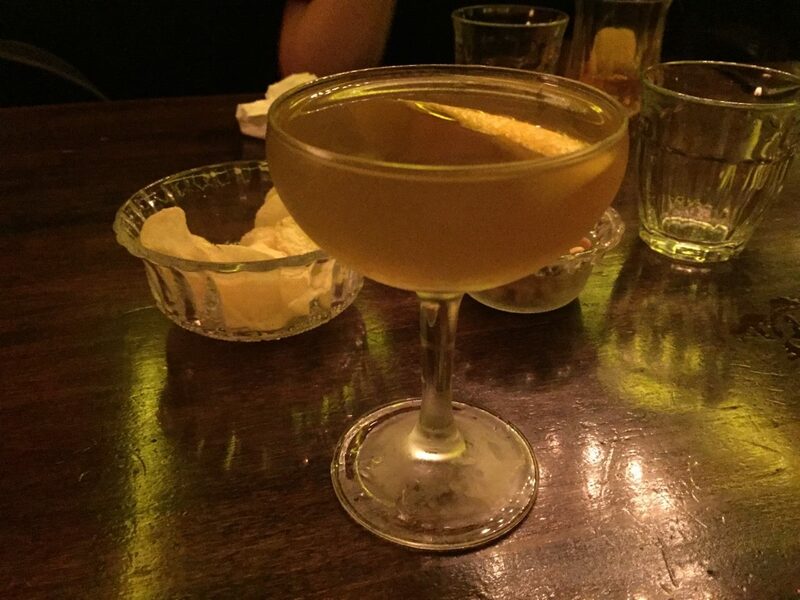 Strong recommendations: the Moanin’, made with Hibiki 12 y.o., nigori sake, wasabi, Clementine, and orange marmalade; Smoke Gets In Your Eyes, with bourbon, sweet vermouth, oloroso sherry, Benedictine, Jerry Thomas bitters, and smoke; and Mack The Knife, with orange-infused gin, spiced ginger honey, grapefruit, lemon, thyme, cinnamon, and cayenne pepper. 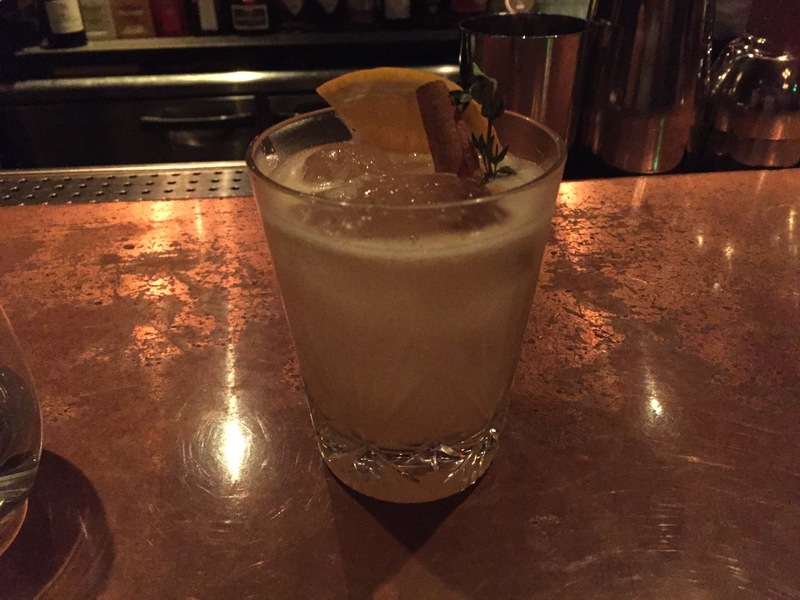 All the cocktails are perfectly executed and delicious, and totally worth a try. Having awoken on the first day of my second trip craving a quality Western breakfast, I asked around once again and was referred to Mr. Pancake House, a long-standing institution that has multiple branches in the city. After checking around with reviews on Bon App**, I felt the Zhongshan Park branch was a good bet. Once there, even though it was tempting to order a pancake I opted instead for their BBQ Pork Eggs Benedict, which didn’t disappoint. 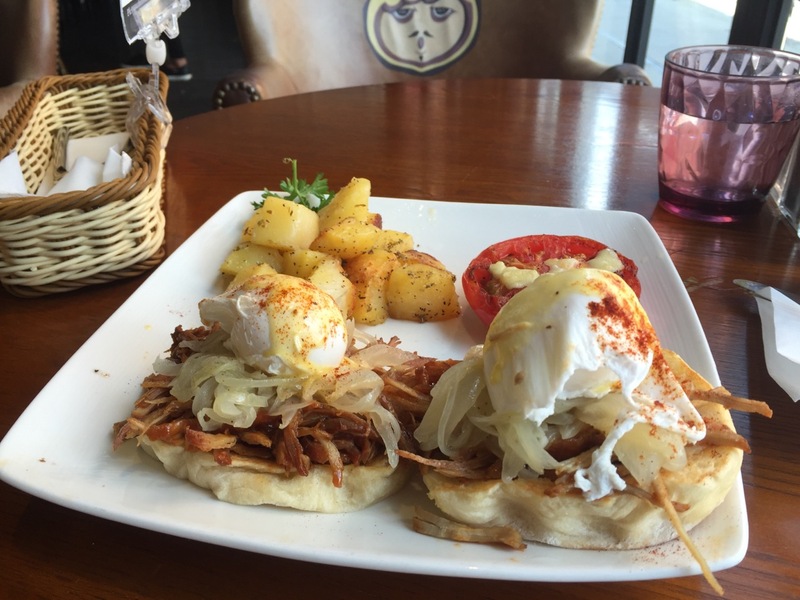 The pork and eggs were placed atop the establishment’s signature pancakes, which were quite large and nice and fluffy. With a side of potatoes everything went down just right. *Ningbo is referred to as “the ‘Bo” and Beijing is “the ‘Jing”, but I’ve never heard anyone refer to Shanghai by any other name, so its just a guess. **Basically Yelp and Dianping combined (unlike Dianping its in English), Bon App covers restaurants, bars, cafes and more in Shanghai, Beijing, and Singapore. Vincent – Great article! You’ve made my mouth water for all of these special meals and spectacular beverages.